The Pacific Fishery Management Council finalized their recommendations for ocean salmon seasons on Tuesday, April 10. Draft copies of the adopted seasons will be available at the PMFC’s website in the near future (www.pcouncil.org), and graphics of the recreational and commercial troll seasons will also be available on www.dfw.state.or.us/mrp/salmon/ by Thursday, April 12. 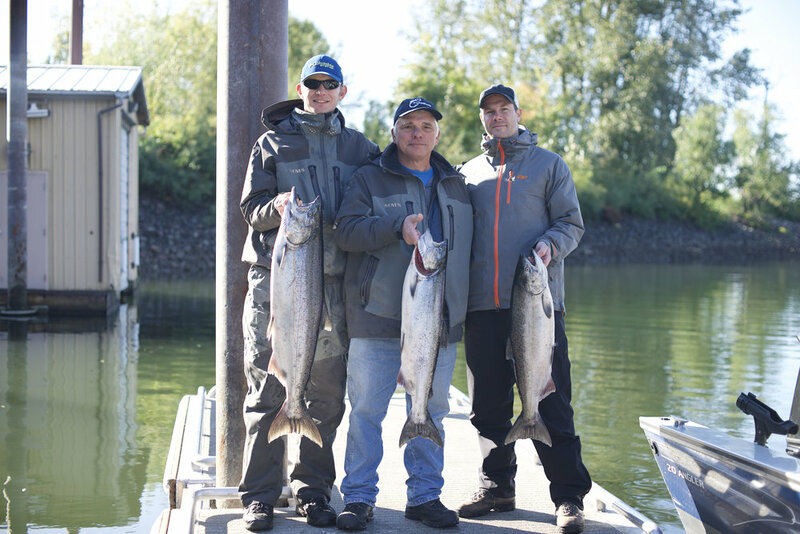 Seasons are not official until being given final approval by the Secretary of Commerce, and adopted by the Oregon Fish and Wildlife Commission for waters within 3 nautical miles of shore. 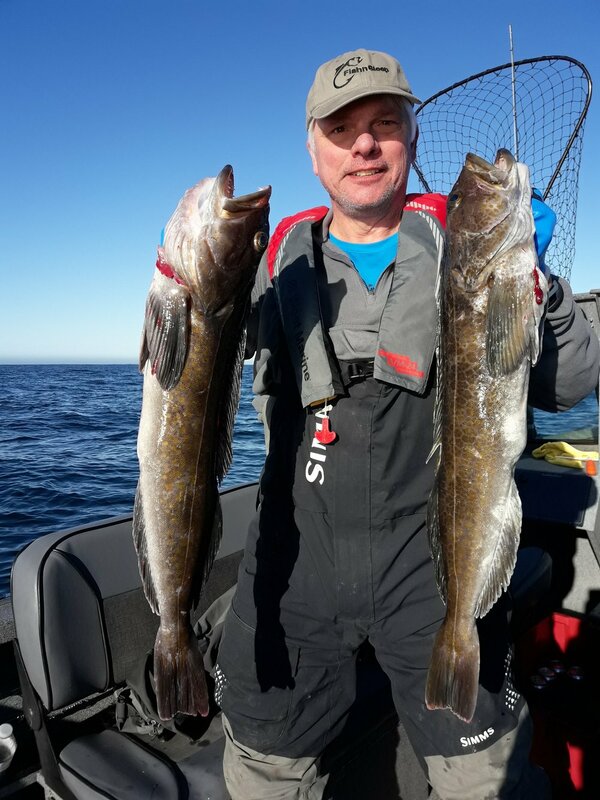 populations both have shown improvements in the last year, and are expected to provide for improved Chinook salmon fishing this year off the Oregon Coast. 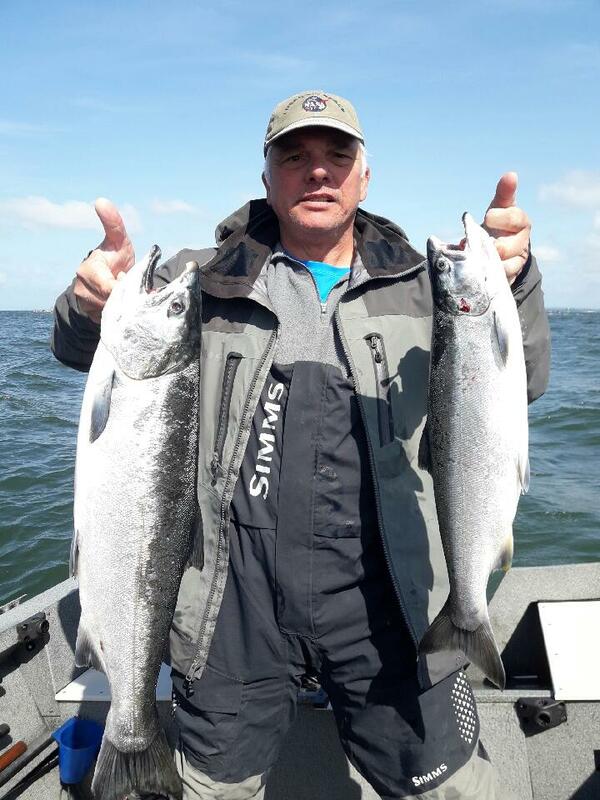 Ocean waters off the Columbia River from Leadbetter Pt., Washington to Cape Falcon, Oregon will be open for recreational salmon fishing from June 23 through the earlier of September 3 or quota with a hatchery mark selective coho quota of 21,000 and a Chinook guideline of 8,000. The daily bag limit will be two salmon, but no more than one Chinook and all coho must have an adipose fin clip. Recreational seasons on the central Oregon Coast (Cape Falcon to Humbug Mt.) opened for Chinook on March 15 and will continue through October 31 without interruption. Coho seasons will have quotas of 35,000 adipose fin-clipped coho in the hatchery mark selective season from June 30 through September 3, and an additional 3,500 coho quota in the September non-selective coho season that will be open each Friday and Saturday beginning on September 7 and continue through the earlier of September 29 or quota. In October, the recreational season will be restricted to salmon fishing only inside of the 40 fathom management line. The area from Humbug Mt. to the OR/CA border will be open for recreational Chinook from May 19 through August 26. 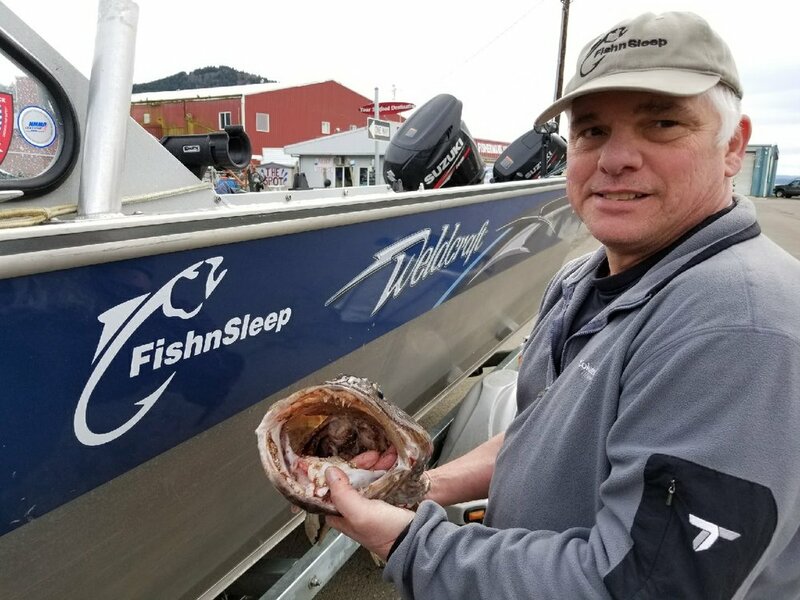 A limited state waters fishery off the Chetco River in October will be considered by the Oregon Fish and Wildlife Commission in Astoria on April 20. Apr 11 Product: New Flasher Board Storage!